Can't find anything to watch on TV? Here's a chance to win 500 movies on DVD. Yes, FIVE HUNDRED. That's 123 discs by the way. Giveaway is restricted to continental US only and runs through 8/17. If you win, you'll have 647 hours of movies to watch. Good luck. Knock yourself out with 100 high-flyin’ and punch-packin’ Kung-Fu films! 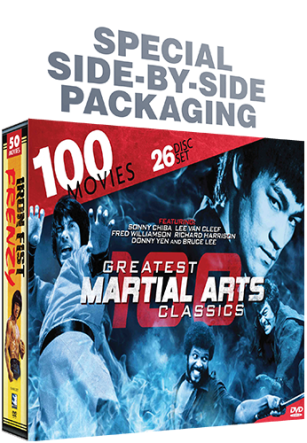 This thrilling collection of jaw-droppin’ flicks brings together a colossal assortment of martial arts madness. From the ultimate Shaolin masters to the legends of Kung-Fu, theses cult classics are hard to find and sure to delight with high-kickin’ humor and adrenaline pumpin’ action! Drink from the cup of cult classic gold with 100 of the most deliciously-strange cinematic treasures! This 25 DVD collection turns away from the typical Hollywood fare to deliver some of the greatest trash hits and midnight flicks of the 60s, 70s and 80s. Packed with big-screen rarities and box-office big shots, this camptastic collection is the perfect addition to any entertainment anthology. For decades, horror films have frightened and delighted audiences by capturing their innermost fears and phobias and projecting them onto the silver screen. 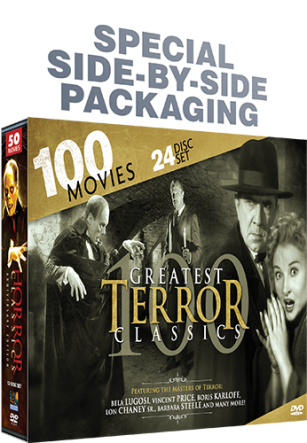 Honor your love of horror with this eerie array of cinematic scares, from the earliest silent films through the golden age of monster movies and beyond! Discover the darkest nights of fright and have a screaming good time with this collection of gruesome gold! Locked and loaded with the loudest guns and fastest bullets you've ever seen, this 24-DVD collection is packed with barroom brawls, robberies and holdups, shoot-outs and showdowns. 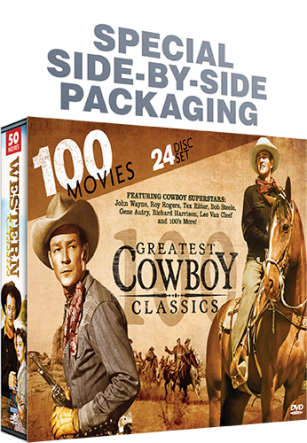 Set against spectacular backdrops and packed with genre defining mavericks, these western classics are considered to be a cinematic love-letter to a bygone era of our nation’s history. Prepare to saddle up and paint the prairie with 100 legendary tales from our historic American West! 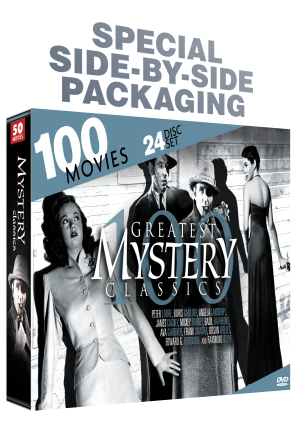 The best classic crime films of the 30s, 40s and 50s are assembled together in this thrilling collection. From evil mob bosses to stealthy sleuths, this intriguing set is perfect for fans of film noir and detective mysteries. Holiday Contest and Sweeps did not receive any form of compensation for this giveaway. Mill Creek Entertainment will be responsible for the awarding and shipping of the prize directly to the winner.